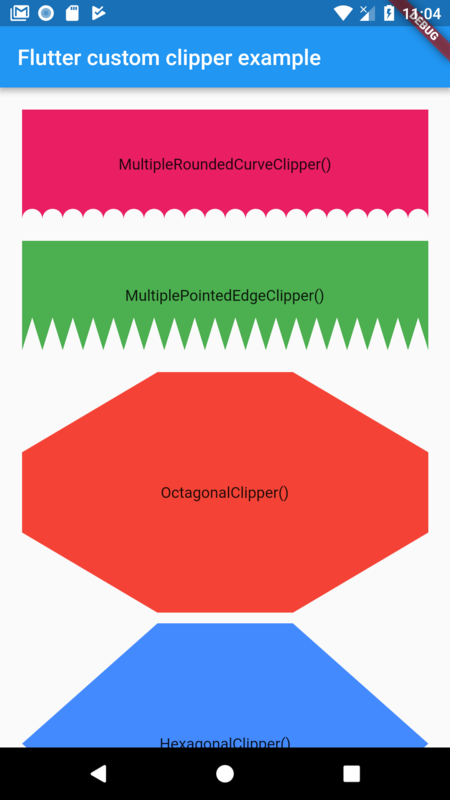 Flutter package that provides you custom clippers to help you achieve various custom shapes. 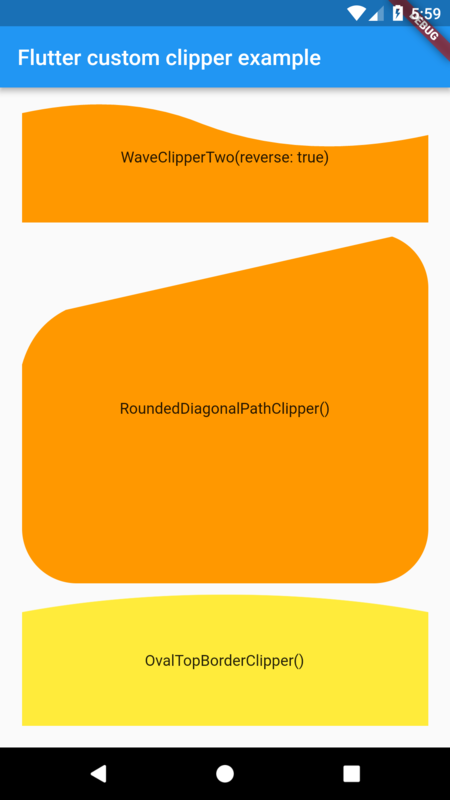 To use this plugin, add flutter_custom_clippers as a dependency in your pubspec.yaml file. 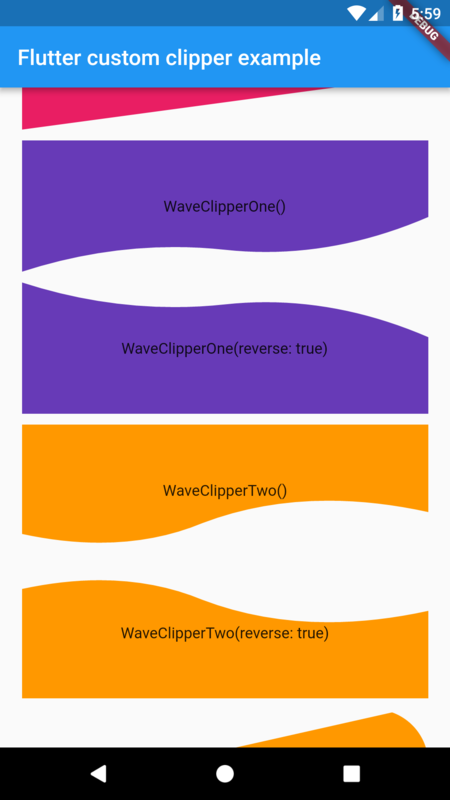 Demonstrates how to use the flutter_custom_clippers plugin. 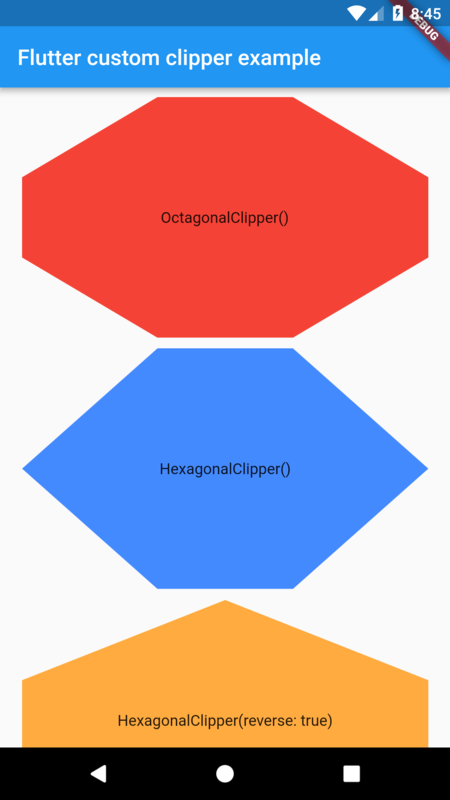 Run flutter format to format lib/flutter_custom_clippers.dart. 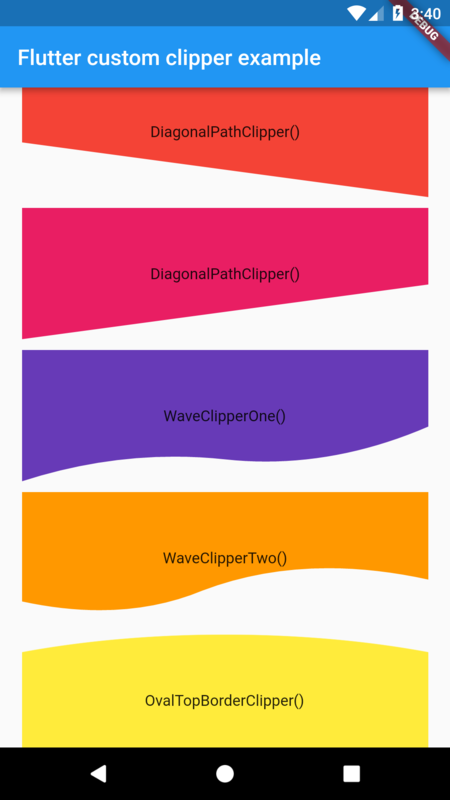 Run flutter format to format lib/src/diagonal_path_clipper_1.dart. 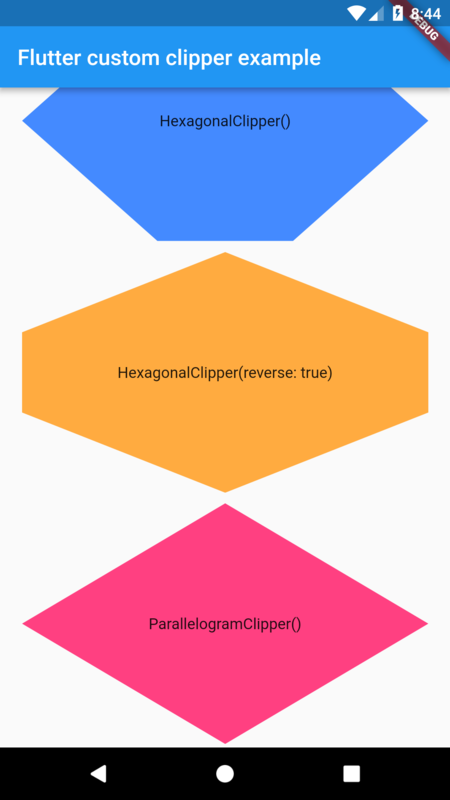 Run flutter format to format lib/src/diagonal_path_clipper_2.dart.